Creativity Within : November My Monthly Hero and Giveaway! Happy Monday! 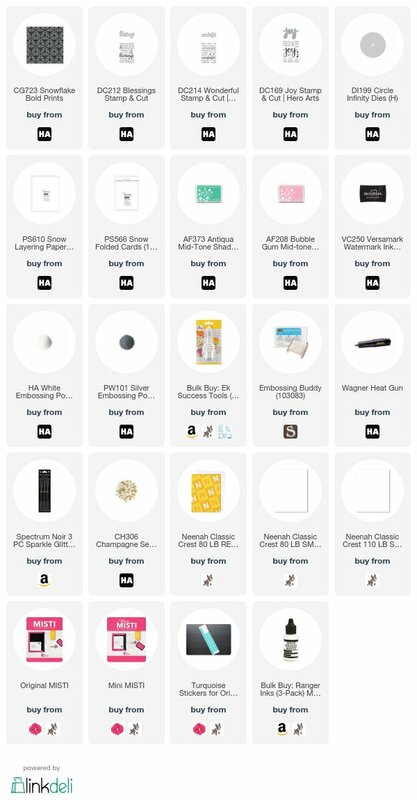 It's the first Monday of the month, which means it's time for the new My Monthly Hero kit and Blog hop for the new November kit. I love the winter and Holiday theme of the kit and all the add-ons and all the possibilities! Let's take a look at the main kit! 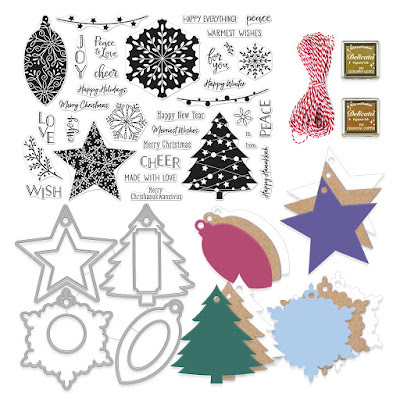 There are also some awesome, optional add-on products this month - 4 stamp sets, coordinating, fancy and infinity dies, a paper layering die, background stamps and a stencil. I think my favorite is the Winter Animals! Now, you have probably arrived here from May's blog, and if you haven't trust me you don't want to miss her amazing projects. 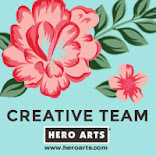 So go back to her blog or start from the beginning(the Hero Arts blog) and if you arrived here from her blog, then you are on the right track and your next stop will be Heather's blog(and you don't want to miss her project, either). Now, onto my project. I will start with the 2 I shared over at the Hero Arts blog, in case you missed them! You can head over on the blog for the complete details of these first projects using the main kit. First is the felt ornaments, I used the dies from the kit along with some Felt and Frost and Champagne sequins packs, some thread and seed beads! My kids want me to make lot more to decorate our WHOLE Christmas tree with these this year! Next is tags that can serve as ornaments, too, again using the main kit. Again full details are over on the Hero Arts Blog! Next up is a trio of cards that I created using the Snowflake bold prints. I stamped it on Snow card stock with Versamark, then embossed with white and silver then blended some Bubble Gum and Antigua inks. For my card bases I applied ink directly from the ink pad on the sides and then adhered the panels. I did same on another piece of card stock, let it dry then stamped the little sentiments and embossed. For the silver one, I die cut circle from the inked card stock using the Circle infinity dies, then stamped and embossed with Silver. 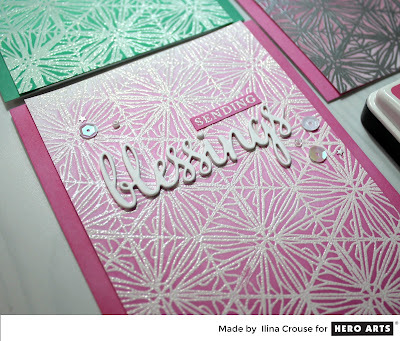 I used 3 different stamp and cut sets for the sentiments and die cut words. I die cut 4 of each and adhered them together for dimension. 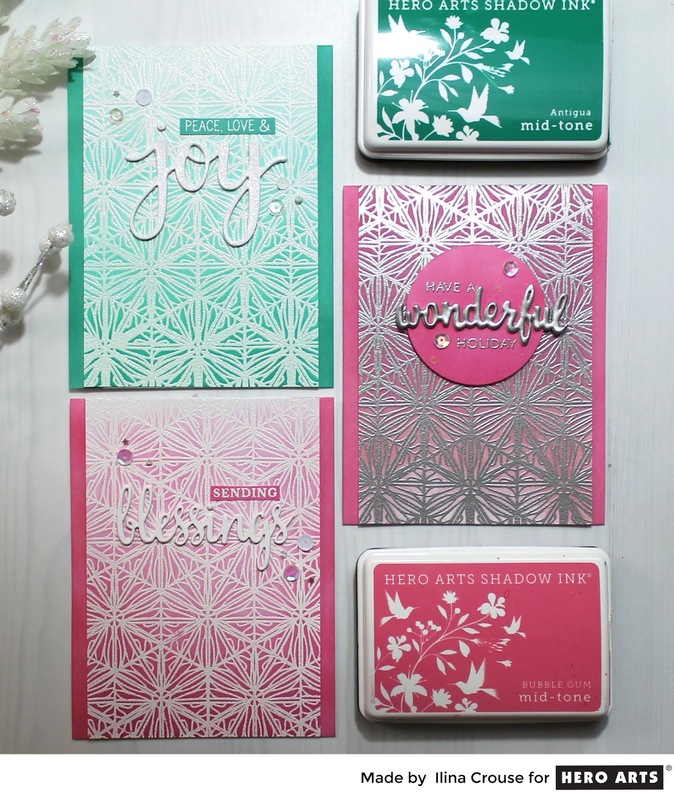 I applied versamark on the "wonderful" one and embossed 3 times with silver embossing powder. Then assembled my cards. 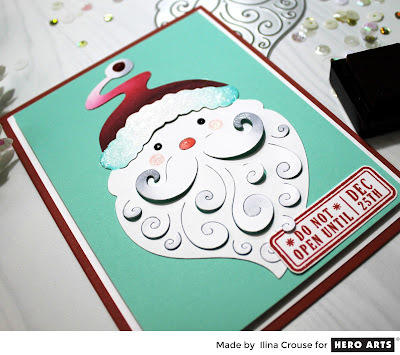 Next up is a card using the Paper Layering Santa Tag. I am not a Santa person, but this Santa is too cute, so I had to use him. I die cut him and at same time applied Silver Foil with my GoPress and Foil Machine, so it adds little bit silver on all of the edges for a nice look. Then colored him with my Chameleon Pens added Nuvo Drops and Glaze, stamped in Royal Red land cut the little label from the Holiday Badges set and assembled my card! 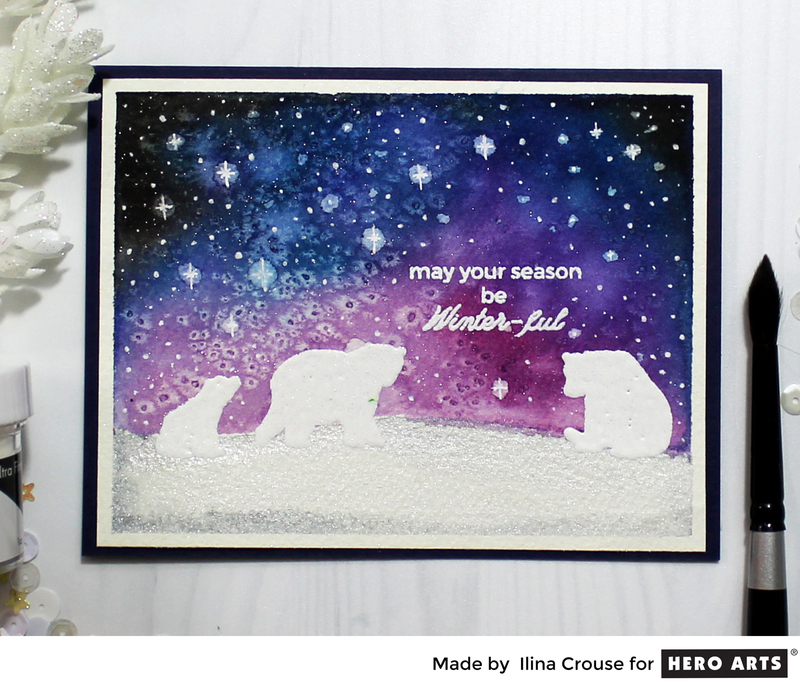 And I had to make a card using my favorite add-on set, Winter Animals. I used Fabriano Artistico watercolor paper and created my galaxy using some Mijello Mission Gold watercolors, alcohol and salt, and white gel pen. Then for the snow I used Finetec opalescent watercolors. I stamped the images and sentiments with Versamark and embossed with white embossing powder. Using the MISTI I stamped the images again and embossed with sparkle embossing powder (didn't stamp the sentiment 2nd time). Then assembled my card and spayed with Shimmer Spray. Last, but not the least, it's a card I made using the Happy Hanukkah set. I created my background using some Fabriano Artistico watercolor paper and Gansai Tambi watercolors. After it was dry I stamped the image and sentiment with Veramark and embossed with white embossing powder. Sprayed with Shimmer spray and assembled my card. 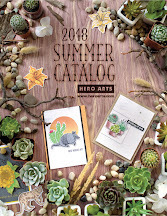 Giveaway: Hero Arts giving away one kit as a prize to one blog reader - selected from the comments across all of the blogs in the hop. 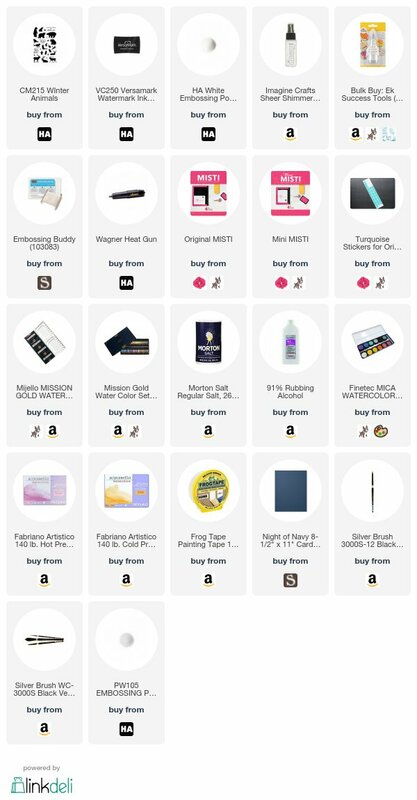 (We will reimburse them if they have already bought the kit) Giveaway closes Sunday, November 12th at 11:59pm, and the winner will be announced the following week. If I wasn't already sold on this kit, your gorgeous creations pushed me over the edge! Wow doesn't even begin to describe how awesome all of this is. Fantastic cards ! 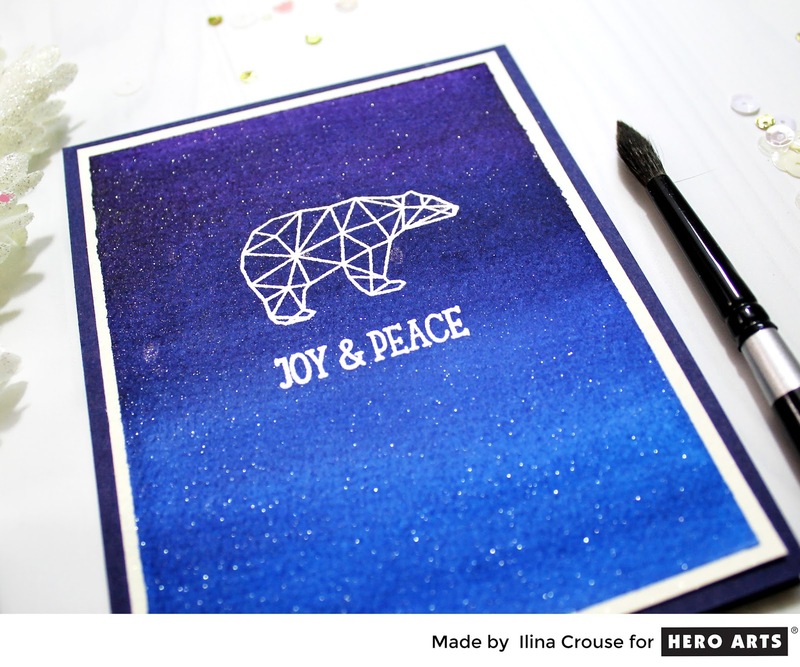 I specially love the night sky Polar Bears card, cannot wait to receive my order..... Thanks for the inspiration. 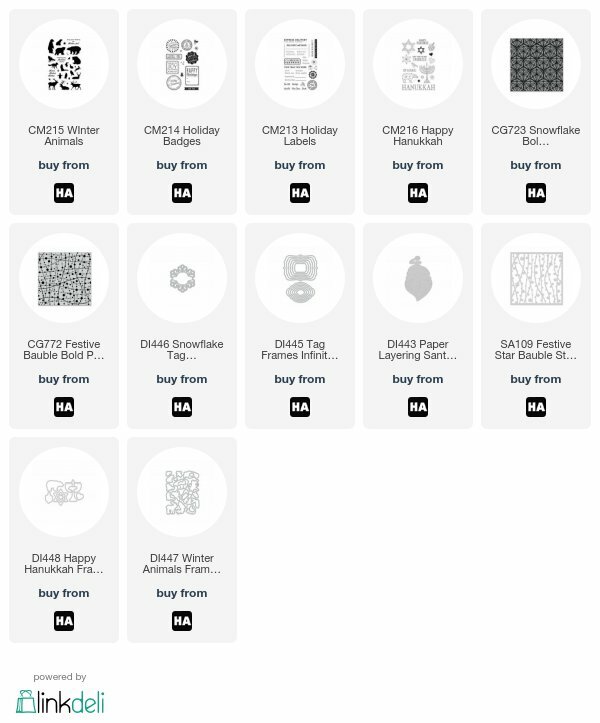 Really like the White Embossed Snowflake Bold Print Cards...CAS...my kind of cards. Well Done! All your projects are gorgeous! Love the sky you created for the polar bear card. And those felt ornaments are adorable! The versatility of this collection is amazing. From ornaments to cards there is so much more you can do with these combinations and you showed that. Really like it a lot. So much inspiration! So many cute projects! I love this month's new kit! 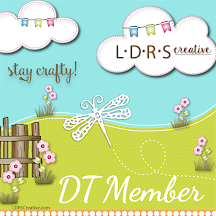 ♥ Your cards, ornaments and tags are amazing! Beautiful cards! Love your night sky and that snowflake background it increditable. That silver background stamp is a keeper. I was not going to order that...BUT, I changed my mind after seeing your beautiful cards! Thanks for the examples...you've inspired me!! Love your background designs so beautiful. Can't wait for my kit your inspiration has made me excited. WOW! What stunning array of projects! Love them all, the backgrounds and the felt ornaments are so cute! I love that icy snowflake background -- so beautiful!! Your projects have inspired me to create! What a great kit!! I love those felt ornaments! What cute gifts they would make!! 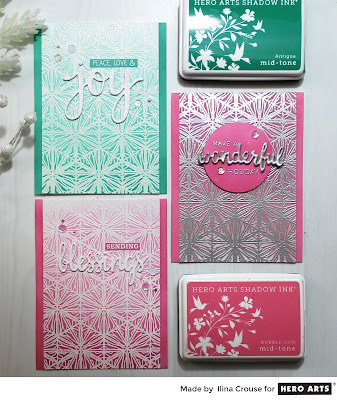 I love the snowflake bold print cards you created. They are gorgeous! I love to embellish felt and never thought of using the dies to cut them! Thank you. Wow! Great projects! Love your many designs! The cards and tags you made with the kit and add-ons are wonderful. 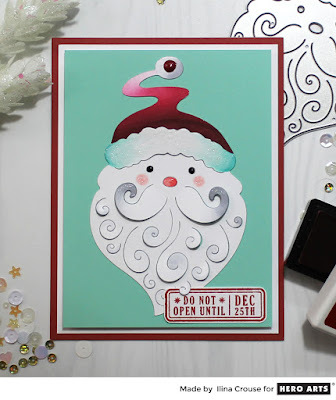 I love the elegance of the embossed backgrounds and can't get over the paper layering Santa. Thank you for sharing. YOU so ROCK this fabulous release! What an amazing collection of creative cards! You rock! So great to see the winter animal cards! Love your frame tags! Great cards and tags! That Santa has me desperate to get mine on the mail! And the ornaments are such a great idea!! Beautiful cards and tags! You are so creative! Love the shaker tags and the colorful cards! That last card is my favorite. I'm a sucker for white embossing and watercolor backgrounds. That's such a pretty card. Oh My! You had too many amazing projects to drool over! It was interesting to see the variety of projects and the different ways you used them. I thought your tags were great and it was interesting to see the felt ornaments. Loved your night background! What a wonderful kit. You certainly made great use of it. I just love the Polar Bear themed Christmas cards! Polar Bears are definatley going to be the theme of my Christmas Cards! So many amazing projects.. I love the felt ornaments... can't wait to make some... and your cards and tags are so beautiful too! WOW all of your creations are fantastic! I really love how versatile this kit is. Wow, stunning cards. Love the first cards using the background stamp and of course, the polar bear card was awesome. Beautiful work! Each of the polar bear cards are stunning. The felt you used with the Hero art products are great! Just love, love these! Beautiful cards! Thanks for sharing, I appreciate the inspiration. I love the bears with the beautiful night sky. You've exceeded all expectations for a truly amazing use of this release! So many ideas, so little time! Especially partial to the ornament tags. I make ornaments every year to give away to family and friends. You've just helped me plan mine for 2017. Truly stunning works of art. So much amazing work, I cant even pick 1 I like the most! Lovely blog, I really enjoyed visiting! So many great examples of how to use this kit...love the different backgrounds you made. Beautiful cards, tags and ornaments! The Santa die is a fave! Your winter animals background is a real showstopper. Wonderful creations. Love the felt ornaments. 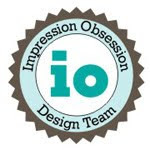 I adore the variety of your projects, Ilina! Every project is as creative and as beautiful as the next! Beautiful ornaments. Darling tags. WONDERFUL cards. Thanks for all the inspiration. Stunning cards thank you for sharing, I love this collection. Wow! You've had quite a beautiful repertoire of projects for this month's release! Love all of them!!! Those embossed backgrounds are just amazing! Fabulous projects! I especially love the felt ornaments and the shaker ornaments! I love your ideas for your cards--they are great!! I love making felt ornaments! these would be great. Also really really love the Santa die. Beautiful tags and cards. Thanks for sharing! Gorgeous cards -- love how you have used the Snowflake background and the Winter Animal images! Your felt ornaments are fantastic! Your cards are beatiful. 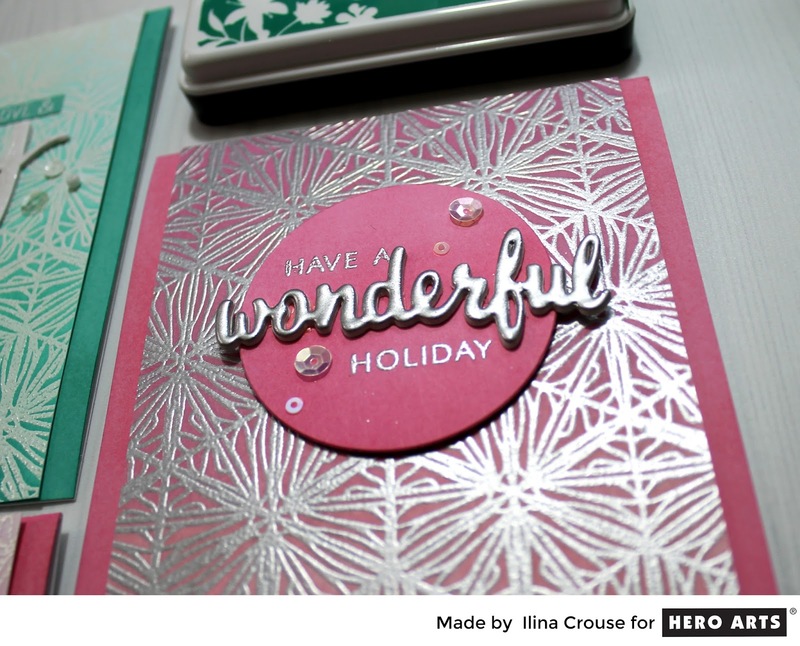 All your cards are stunning, Ilina! Thanks for sharing all your beautiful creations! Really love the Paper Layering Santa card. 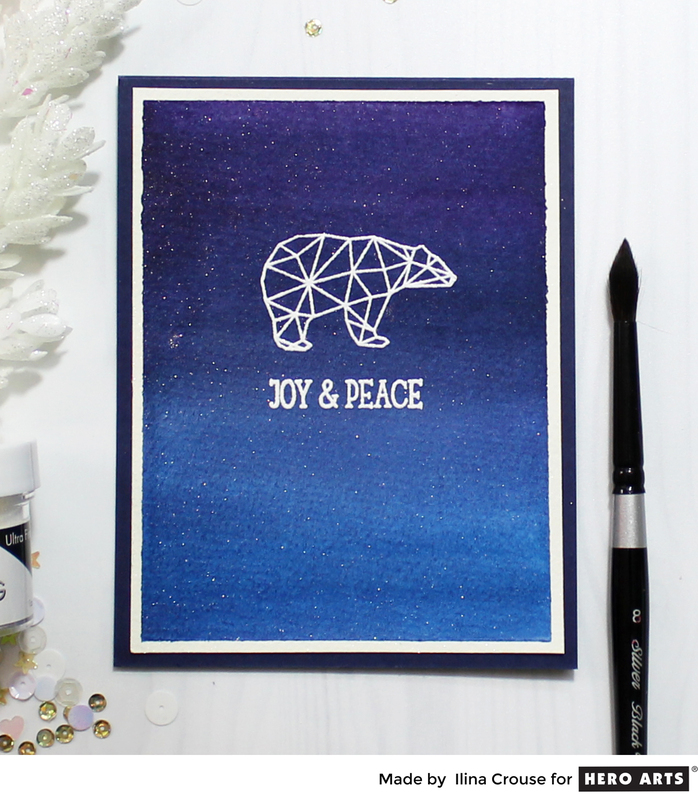 Gorgeous cards and super cute felt tags/ornaments, - the Bold Print snowflake background is a favorite, and your night sky with the polar bear is stunning! You are one talented lady - salt and alcohol, who knew? As for Santa, no one will ever know you are "not a Santa person". Thanks for all of the inspiration. Well someone is an overachiever! I love all your cards. I must have that snowflake background stamp! Your Galaxy cards are to die for! Love the salt technique with the first galaxy card with polar bear cubs. Would like to see a video on that (in spare time of course, lol.) I'm actually making felt ornaments to adorn my children's teachers' gifts with my youngest this year. Was very excited to see your idea of the felt ornaments and the twist of using them as shaker ornaments or tags. Brilliant. Really liked your simple, elegant use of the snowflake bold print background too. The Galaxies though, those are showstoppers! You are very crafty my friend. Loved the ornaments you made out of felt. Your Santa and Polar Bear cards were very cute and your snowflake background cards are sensational! Thanks for sharing your time and talent with us! I love the ornaments ! I need to make some for our tree, too. And the Santa is so gorgeous ! He is the cutest Santa I have ever seen ! I love the galaxy background card. Your felt ornaments are awesome. Thanks for sharing all your projects. Ornament, tag or card, they are all so beautiful. 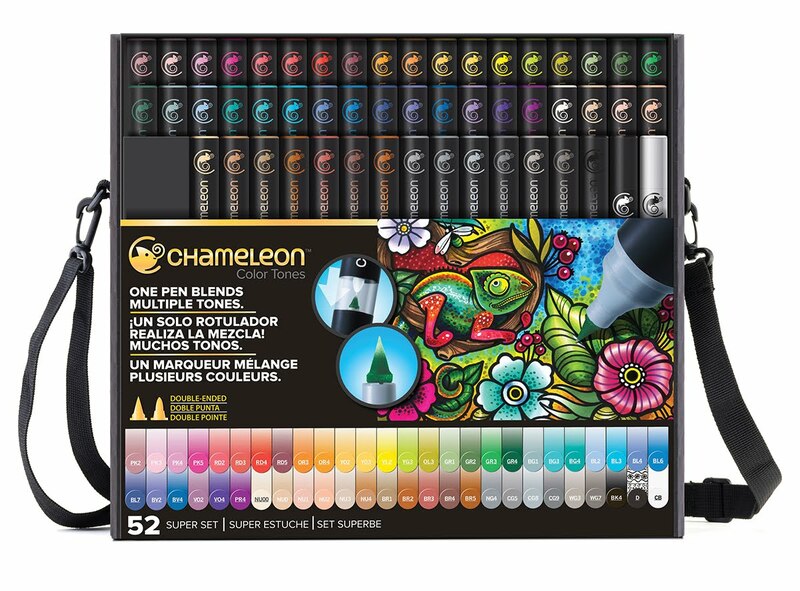 What a great variety of projects you've created with this kit. Thanks for sharing all the inspiration. Ornaments ornaments ornaments everywhere to decorate the tree, the house, to give as a present... And great cards, too! I'm excited for this kit - there are so many possibilities! I LOVE those tags and as a big fan of shakers, I can see turning them into shaker tags very easily. Thank you so much for your inspiration. 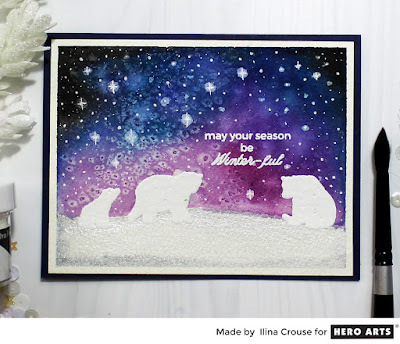 Love the ornaments with felt but totally in love with the winter bear card...awesome! Just a whole lot of amazingness, as always! Love the background for your winter animals, and the embossed backgrounds for that card trio?? Beautiful!! So beautiful and creative. This kit is fantastic. Thanks for sharing. WOWZERS! Awesome cards, I love your gallexy sky card especially! 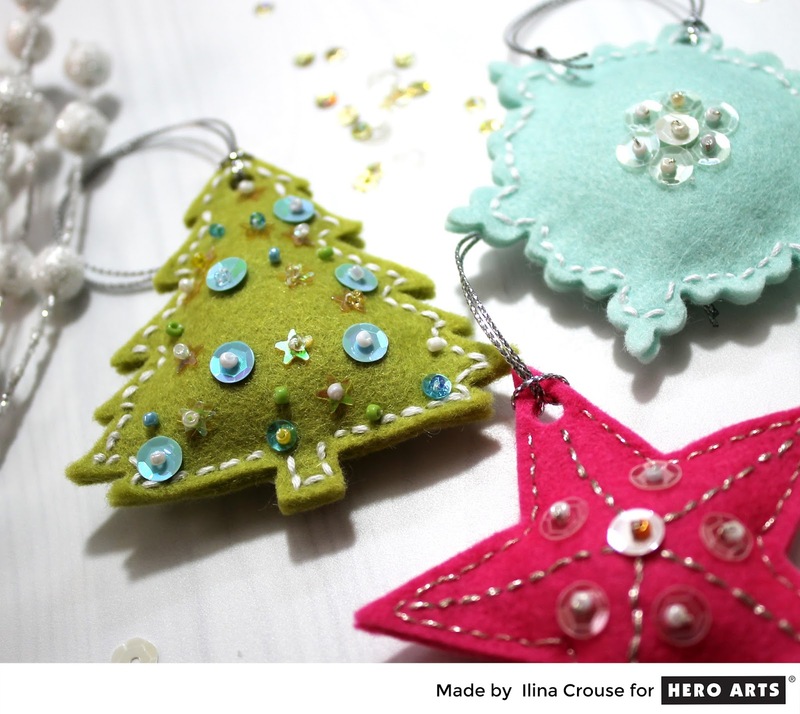 I was totally thinking about making felt ornaments too! This would definitely work with some ones and some kid friendly glue. dark blue background is wonderful. I also find the Winter animals stamps set just fantastic, cannot wait to receive my order..... Thank you for the inspiration. Ooh la la! I love your felt ornaments, tags and all your colourful cards! It really shows off the versatility of the kit and add-ons! Thank you for sharing so much inspiration! 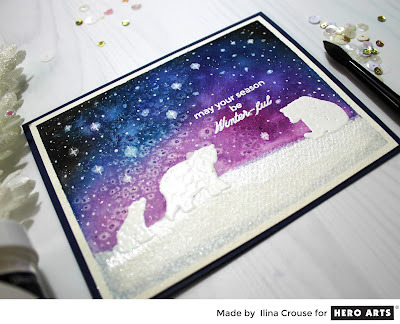 What a awsome cards, I love the trio of cards wiht the gorgeous background and the beautiful cards wiht the polar bear. 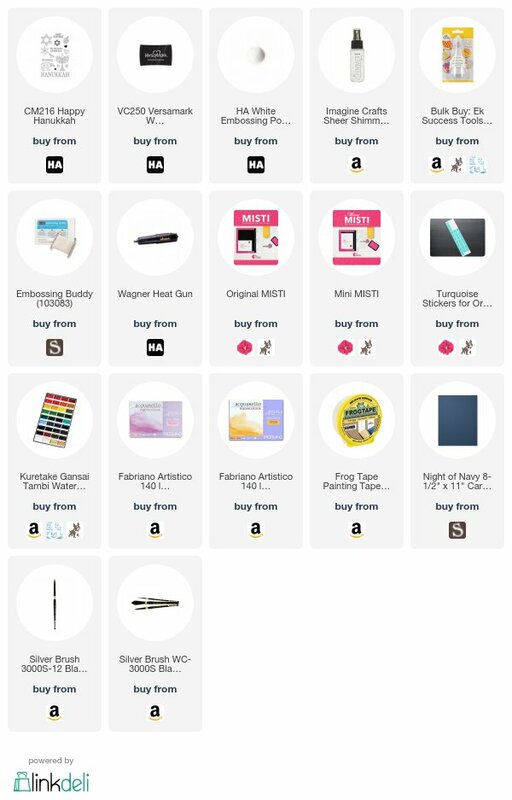 You have showed almost everything there is in the kit and the add-on's. Thank you so much for these delightful examples! Oh my goodness ! All your creations are so gorgeous ! Ahh, so many beautiful cards! Wow! Oh wow! You always make such stunning cards. Thanks for sharing with us!! 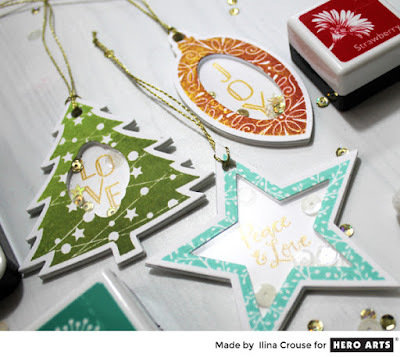 The ornaments are precious and I love the large background stamp on the cards. 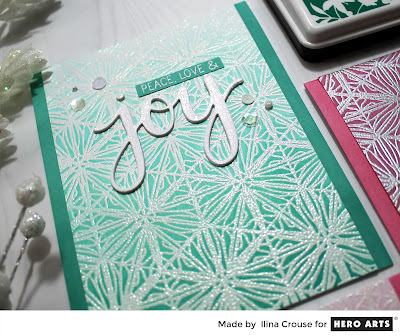 Your cards with the Snowflake bold print background are just breathtaking! So many entirely different samples..........all wonderful. Wow! I love all your projects. You gave us some unique ideas too. Would never thought to have made the puffy ornaments. Wow, you've definitely shown the versatility of this kit. Fabulous holiday projects. 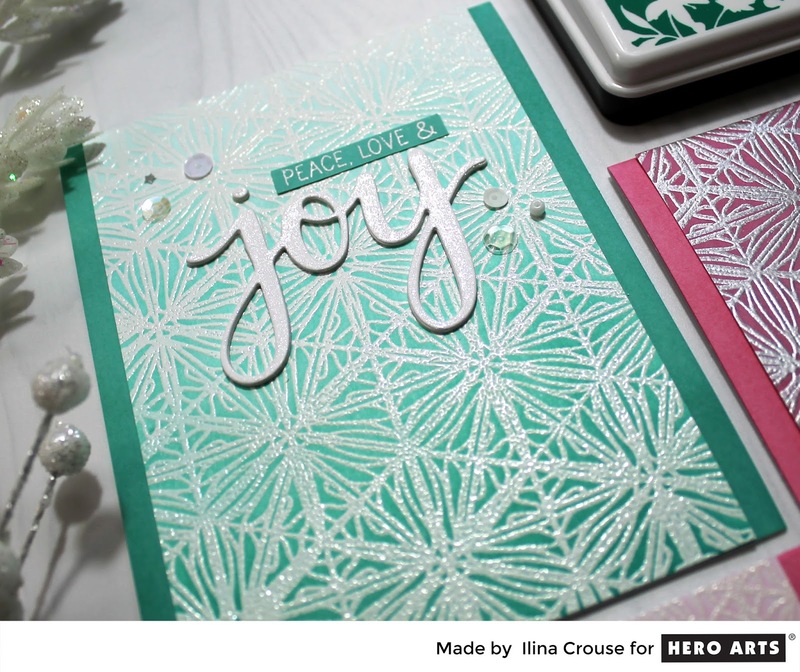 Love your cards using the Bold Snowflake background - very pretty ! Thanks for all your creative inspiration! OMG!!! 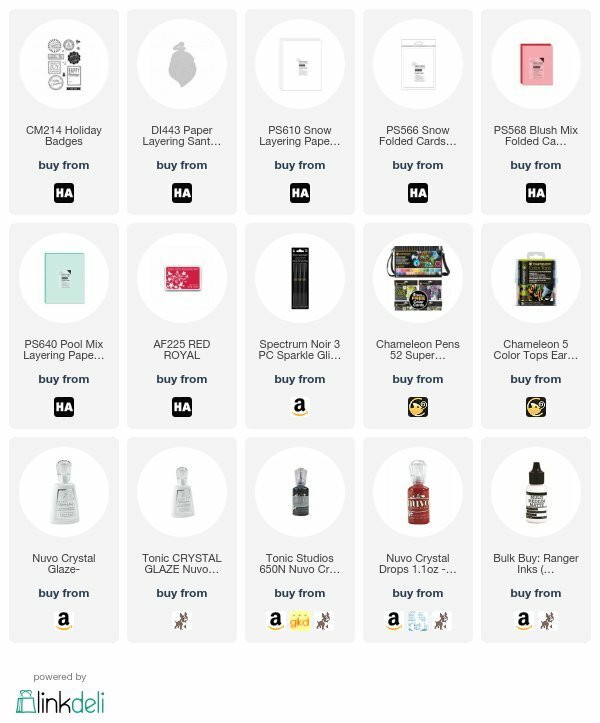 Your post alone makes me want to get the kit!! and i don't even make/need too many holiday cards!! the shaker tags and felt ornaments are especially amazing! So many fantastic projects! I love your polar bear cards. Love this kit by Hero Arts. 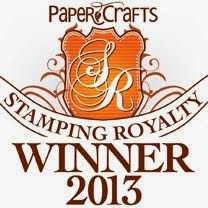 .They always have such great stamps and dies that allows so much creativity! The felt and the tags are both clever and really great looking! I'm really glad you used the snowflake background stamp! Those are some great looking cards and I have it coming. Santa looks nice and that background for those fun polar bears looks so rich. Wow! Wow! Wow! Awesome projects!!! These new cards are so beautiful, especially the backgrounds - thanks for the how-to! I had already fallen in love with your ornaments and tags the other day - can't wait for my kit to get here so I can make some! Those felt ornaments are so neat! I'm blown away with so many wonderful projects that you created. My fvaorite is those felt ornaments. wow - so many beautifully inspiring projects! thanks for sharing and can't wait to get my kit!! Oh my goodness, this post is loaded with inspiration! Your cards, tags and ornaments are fabulous! Thank you! Love all of those projects. The felt ornaments are beautiful. Thanks! The felt ornaments are amaaaazing!!! Gorgeous cards!! What a delight to see all of your gorgeous creations! Your felt ornaments remind me of when I was younger, and my Mom used to purchase kits so we could make our own adding sequins & pearls. All of your cards are just stunning also, Ilina! Beautiful cards and beautiful ornaments.